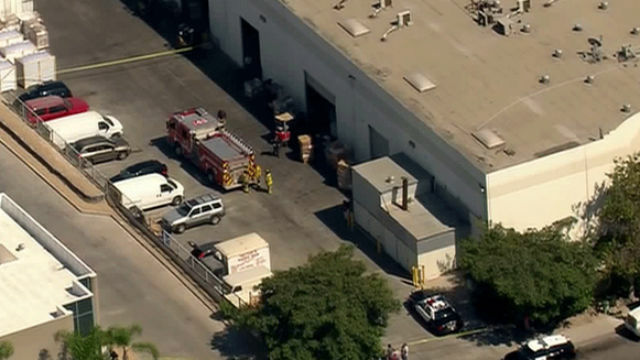 An explosive flash fire injured a man Wednesday at a marijuana-growing operation housed in a warehouse just north of the U.S.-Mexico border. The fire in the 9800 block of Marconi Drive in Otay Mesa occurred shortly after 2 p.m., according to the San Diego Fire-Rescue Department. Witnesses reported hearing a resulting boom or blast, SDFRD spokesman Lee Swanson said. Medics took a man believed to be in his late 20s or early 30s to Sharp Chula Vista Medical Center for treatment of injuries of undetermined severity. A hazardous materials team tested the area, finding no public-health threats. The cause of the blaze, which caused no structural damage, was under investigation. Fire crews believed it might have been sparked by a problem with an electrical circuit board, according to Swanson. San Diego police were working to determine who was responsible for establishing and running the cannabis-production setup, the spokesman said. In October 2004, authorities uncovered a nearly six-ton stash of marijuana in a storehouse at the same site, according to the U.S. Drug Enforcement Administration.